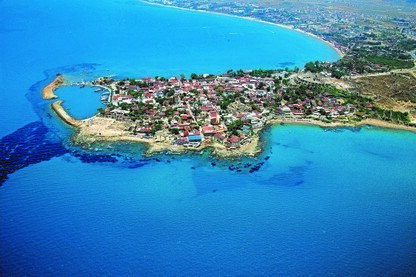 It is located approximately 3 km west of the Manavgat district. You can have a picnic in nature by the side of the waterfall and you can eat fresh fish at restaurants around it. It is an ideal place to commune with nature away from the noise of the city. Transportation can be provided by minibuses departing from Manavgat. Located about 15-km away from our hotel, the waterfall can be easily accessed by public transport and private vehicles. Oymapınar Dam, the 3rd largest dam of Turkey, is built on the Manavgat River. 1.2 billion kW/hour energy is produced annually. 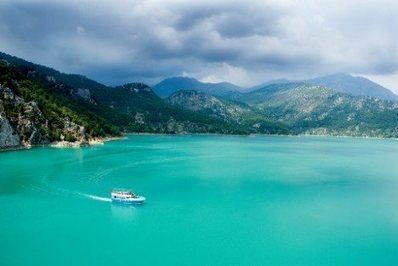 You can enjoy the beauty of nature accompanied by the magnificent view of the Taurus Mountains with the boat tours organized here. You can also discover the beauties of this place with nature walks. 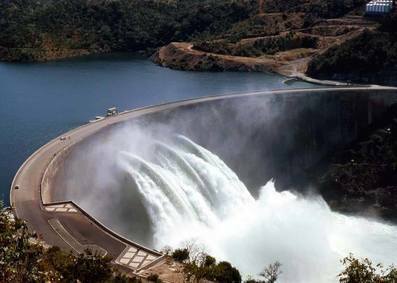 Located about 40-km away from our hotel, the dam can be easily accessed by private vehicles. It means a breathtaking journey into the heart of nature. The best way to get rid of stress of everyday life and relax as reborn is to make a trip alone with nature. Let the Green Canyon embrace your soul with its fascinating atmosphere. Enjoy the magnificent green while exploring nature and wildlife in this unique place. Located about 45-km away from our hotel, the canyon can be easily accessed by private vehicles. 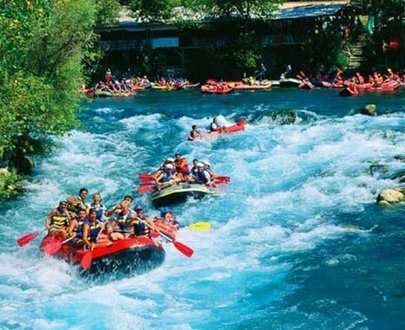 Köprülü Canyon National Park is located about 60-km away from Manavgat and is accessed by the 40-km highway leading to Taşağıl and Beşkonak, which parts from 40-km northeast of Antalya, and located at the foot of the Taurus Mountains. The area of the National Park is 37,000 hectares. The Dipoyraz Mountain which is located in the east of the park is 2980-m high and its slopes are covered with forests. The bridge river is 120-km long and 100-m deep and located between Bolaşan Village and Beşkonak in the midst of the valleys and canyons covered with cedar forests. The river valley located in the park is in the form of a canyon which is 14-km long and partly 400-m high and has a steep wall. After the end of the canyon, the river flows from a wide bed covered with greenery. 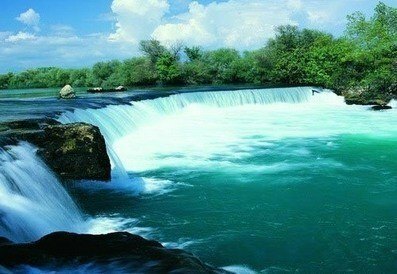 The Köprüçay River is one of the most beautiful natural recreation areas in Turkey. In addition, many archaeological sources such as the historical Selge city located in the mountainous terrain in the west of the river, the riverside castles and aqueducts, and the bridges and historic roads of the Roman period make the Köprülü Canyon National Park one of the places worth seeing. After an enjoyable rafting tour, you can enjoy fresh fish at numerous restaurants. Located about 55-km away from our hotel, the canyon can be easily accessed by private vehicles. “Side”, which is in the form of a peninsula, means “Pomegranate” in Anatolian language and symbolizes fertility. It is said that Side, one of the oldest settlements of Anatolia, was founded before the 7th century BC. 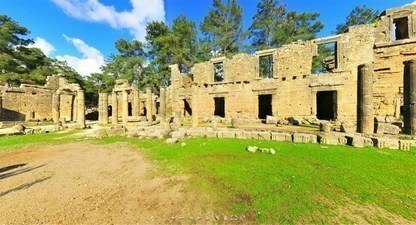 There are the ruins of historical shops, houses, baths, agoras, fountains and porticos (galleries) in the Ancient City of Side, which should be certainly seen in this region. The magnificent theater is accessed by passing through the single arched monumental gate including the Vespasian fountain built for Emperor Vespasian. The theater of 20,000 people was built on the arched places, not on the mountain slope like other Roman theaters. Located at the Ancient Port of Side, about 12-km away from our hotel, it can be easily accessed by public transport and private vehicles. The temple, dedicated to Apollo, the son of the Sun, is located at the square at the end of the columned street of the Side Antique Port. The temple, which is the most important symbol of Side, is said to be the place where the most beautiful and most glorious sunrise and sunset occur. 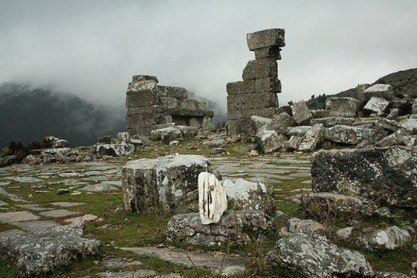 When one goes towards the Taurus Mountains in the northwest direction from Manavgat, he/she reaches the ruins of the ancient city of Seleukeia in the village of Şıhlar after 12 km. 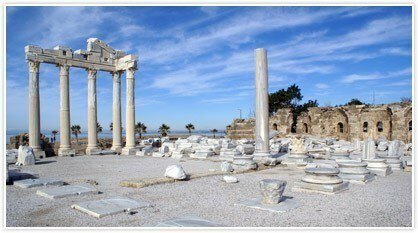 This ancient city, which is located 4 km northeast of Şıhlar Village and one hour away on foot, was founded by the Seleucids. 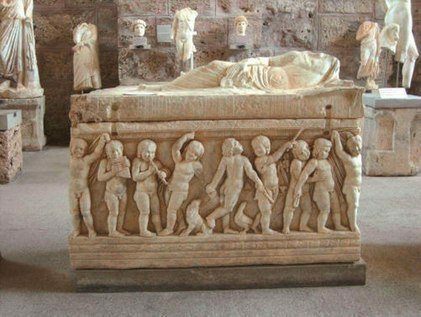 The city, which was founded on a hill as an Acropolis for protection purposes in the 300s BC, reveals the entire plain and sea with its geography with steep slopes and deep valley. The existence of a land suitable for agriculture within the urban area, its surrounding’s being well-supported by waters and its being on the way to any trade route confirm this argument. The city’s two-storey agora, basilica, cistern and sewage system can be considered as an indicator of the development of the city. The mosaics removed during the city excavations are now exhibited in the Antalya Museum. Located about 45-km away from our hotel, the historical place can be easily accessed by private vehicles. Founded on the southern slope of the Taurus Mountains, near Köprüçayı, 950-m above sea level, Selge is an ancient Pisidian Mountain City. Selge is accessed by a 4-km steep road with curves after the Köprülü Canyon. The road to Selge passes through the Köprülü Canyon, which is rich in natural beauties. There are gullied rocks that resemble the fairy chimneys in Ürgüp and Göreme and cover the whole mountain slope, on the way. Its 5-door and 45-step theater in the north is an important and best preserved monument of the city. A stadium and a gymnasium in the south and an Ionian temple with its ceiling decorated with eagle motifs in the west of the theater carved into the rocks attract attention. There is a fountain and agora in the south of the stadium. The Temples of Artemis and Zeus are adjacent in the north of the city walls located in the southwest of the city. There are water cisterns in the west and a necropolis with its sarcophagi and ornamented monumental tombs in the north of these temples. The city has not been collapsed because it is located on the hills far from the busy roads. Located about 75-km away from our hotel, the historical place can be easily accessed by private vehicles. 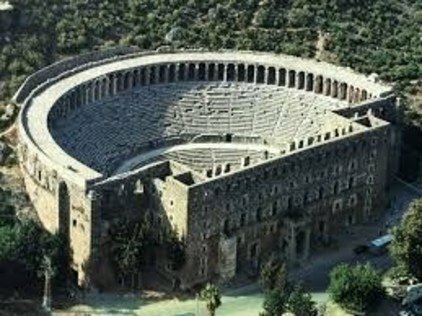 Built in the 2nd century, 44 km away from Manavgat, the Aspendos Theater of 17,000 people is the best preserved amphitheater that has survived until today. The secret of the excellent acoustics created by a young man named Xenon who lived in the region is still unresolved. In the 13th century, the Seljuks used the structure as a caravanserai and reinforced the northern part of the structure with an arch in the style of typical Seljuk architecture. Located about 25-km away from our hotel, the historical place can be easily accessed by private vehicles. 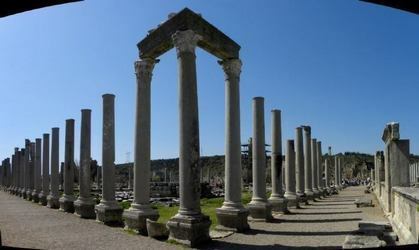 It is an ancient city that once became the capital of the Pamphylia region. The acropolis in the city is thought to have been founded in the Bronze Age. The city is considered to be one of the richest and most beautiful cities of the Hellenistic period in the old world. There are caves and settlements. The most well-known one among the caves is the Karain Cave. The Öküzini Cave, adjacent to the Karain Cave, the Beldibi, Belbaşı rock shelters and Bademağacı are the most famous prehistoric settlements in the region. Located about 50-km away from our hotel, the historical place can be easily accessed by private vehicles. Located opposite the agora of the Roman Period, the bath of the ancient agora from the 5th-6th century AD was restored in 1960/61 and turned into a museum. A large part of the works exhibited in the museum were found during the excavations carried out in the ancient city of Side between 1947 and 1967. The museum is accessed by a door located in the east direction. Then, a large garden is reached by passing through a courtyard with its floor covered with stones which is understood to be the second tepidarium of the bath. There are sarcophagi, columns, busts, torsos, inscriptions, statues, pedestals, column capitals, friezes, reliefs and steles from the Hellenistic, Roman and Byzantine Periods, which were found during the excavations in Side, around this courtyard and in the garden. The most important work in this courtyard with its floor covered with marble pieces is the series of friezes containing the mythological stories of the god of the seas, Poseidon, seen on the north wall of the courtyard. Here, the relations of the gods and goddesses with nature are depicted. Located at the Ancient City of Side, about 12-km away from our hotel, it can be easily accessed by public transport and private vehicles.